A regular feature of women’s magazines, both weekly and monthly, during the second half of the 20th Century was the ‘Cut out and Ready to Sew’ offer. 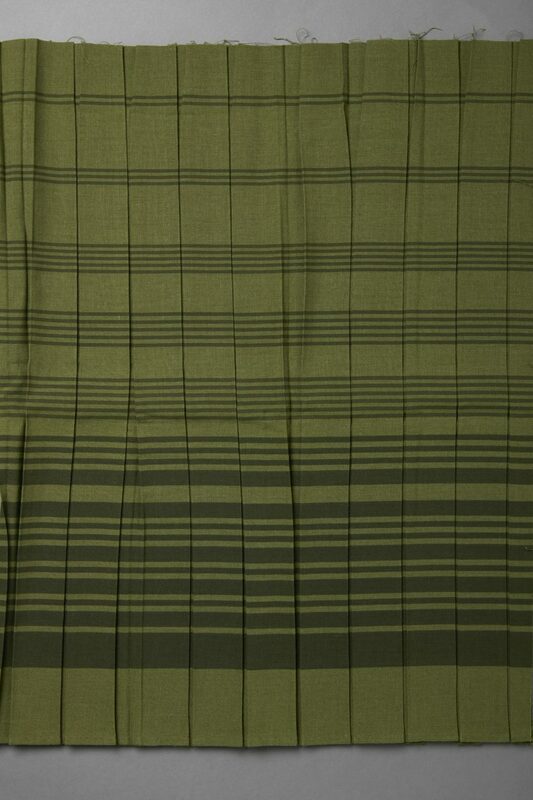 Dressmaking patterns, ordered by post, had been available for some time from publishers, but this was something more – a complete garment cut out in a range of sizes and a choice of three or four colours, with everything needed to make it up – instructions, fastenings and interfacings, though, curiously, never sewing thread. 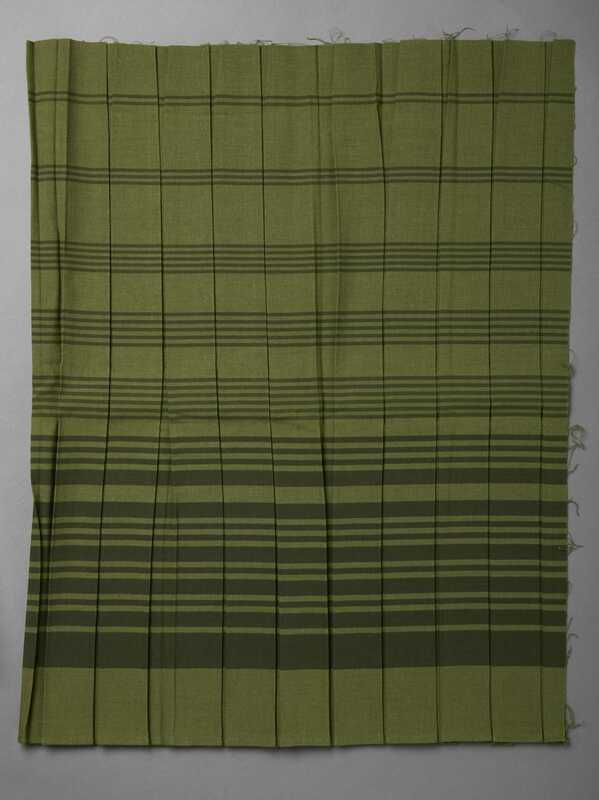 Fiddly technical details like buttonholes were often already worked, and belts ready-made. The middle- class monthly Housewife of May 1951 described its offer of a dress as ‘Ready cut out and so simple to make it could be any woman’s first attempt at dressmaking’. This suggests an aim of encouraging women to make their own clothes at a time of post- war shortages. Some of these offers were ambitious, requiring a certain level of skill from the home dressmaker. 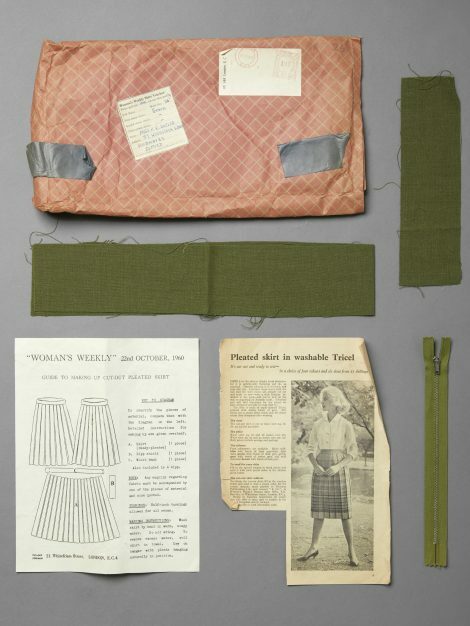 In the early 1980s, for example, Woman and Home offered a double- breasted tweed suit with an inverted knife pleat to the skirt, and a two-piece outfit designed by Jean Muir in her trade- mark synthetic jersey with tucks, topstitching, and rouleau button- fastening loops. 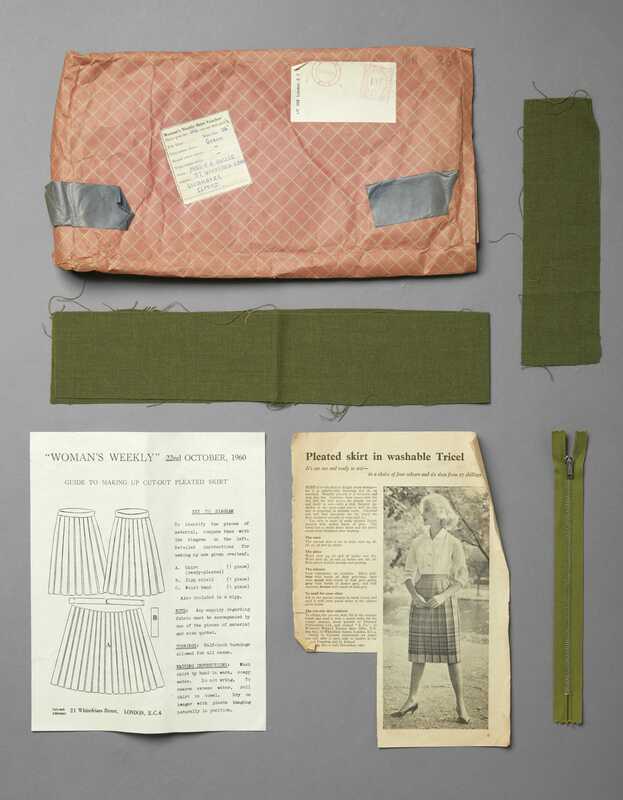 This Women’s Weekly ‘Cut out and Ready to Sew’ ready-pleated tricel skirt was donated by Audrey Butler, a family friend of John Bright from Essex. Audrey, her mother and sister were enthusiastic home sewers, and sent for many such packs from Woman’s Weekly and Woman and Home. Never made- up, it includes the original magazine offer page of 22nd October 1960, the packaging with the application coupon attached for return, the instructions, zip, belt and placket, all of which can be seen in Additional Images. On the reverse of the magazine page are knitting instructions for a jersey to wear with the skirt.